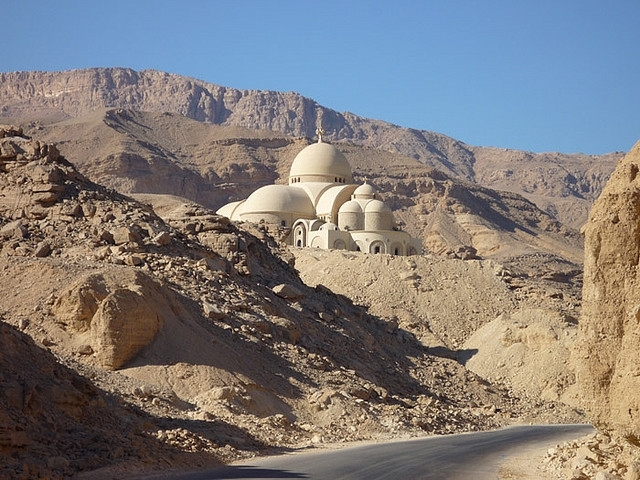 Location: It is situated at the foot of Kalzam Mountain near Al Zaafarana. Why was it built? It was dedicated to St. Paul who renounced his inheritance and consecrated his life to God after the death of his parents. 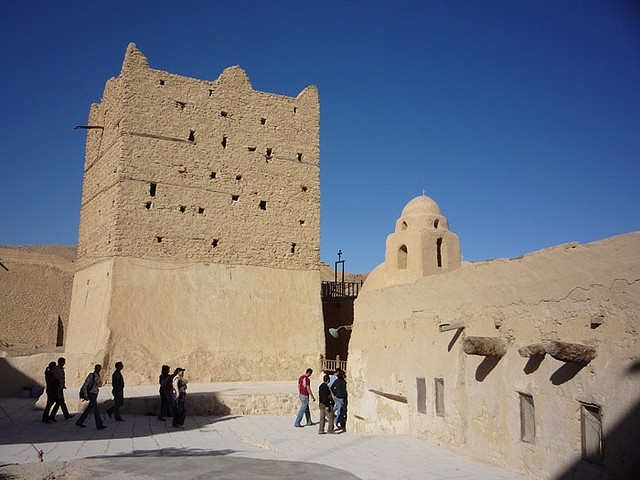 It was built in a period of some eighty years, as It dates to the fifth century. 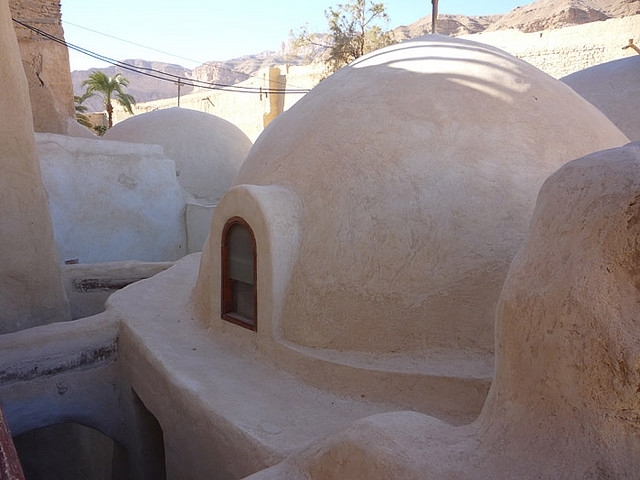 The Monastery of St. Paul, has also been called the Monastery of the Tigers perhaps because of its wilderness location, has always been associated with the Monastery of St. Anthony. 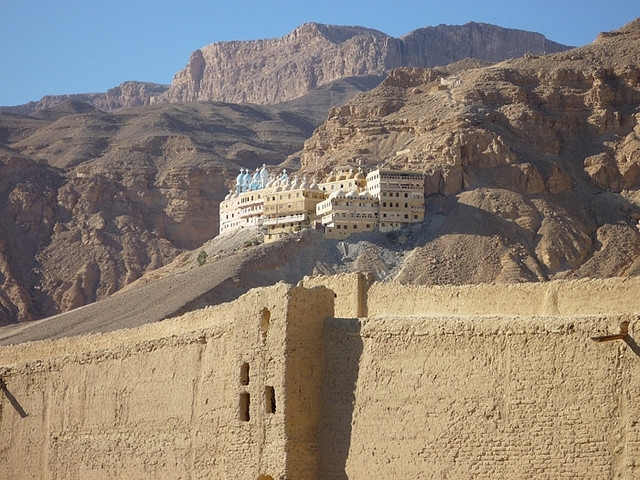 This Monastery suffered at the hands of Bedouin tribes. The year 1484 was particularly destructive, when many of the monks were killed and their library was put to the torch. 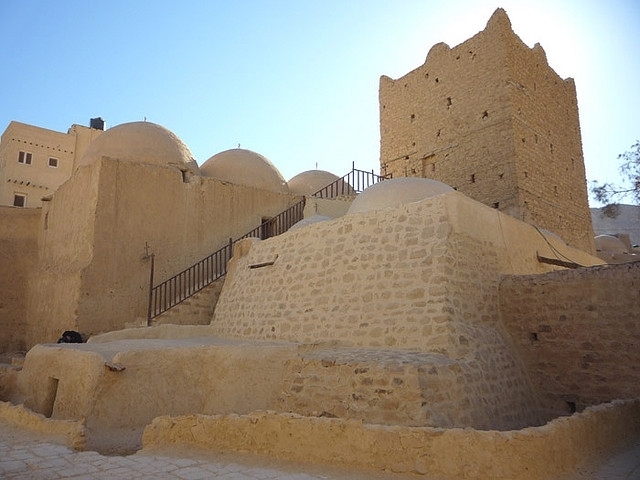 Afterwards, the monastery was rebuilt under the patronage of Patriarch Gabriel VII, who sent ten monks from the Monastery of the Syrians ( Wadi al-Natrun ). Yet, during the second half of the sixteenth century, it was again attacked and ransacked twice, forcing the monks to finally leave. 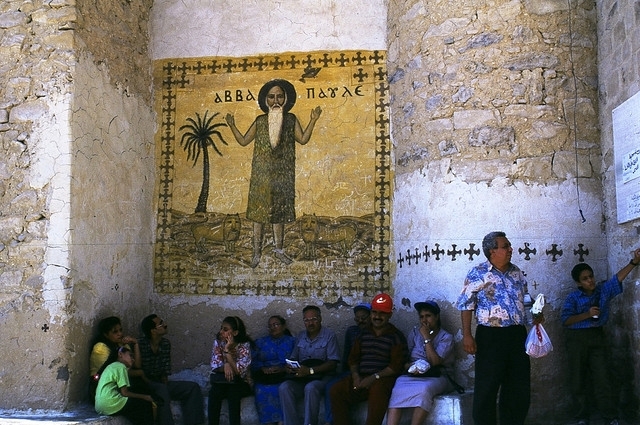 The Monastery of St. Paul has four churches, three of which are situated in the ancient part of the complex. The Church of St. Paul,The Church of St. Mercurius and The Church of St. Michael. St. Paul's Monastery has high defensive walls surrounding the monastic buildings. The history of this enclosure is complex and corresponds to various periods. We know that the walls were considerably enlarged during the eighteenth century under John XVI, but the final walls we see today were completed during the nineteenth century.